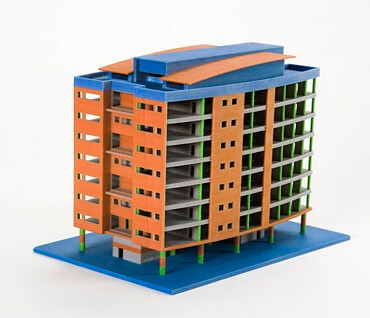 3D modelling is fundamentally the procedure of building a three dimensional article from its 2D outline. We are focused on present to you the best quality for your 3D printed models and work with the best advances as of now accessible available. Zeal CAD provides 3D modeling services includes simulation makes realistic views of your design from different angles to evaluate its functionality and aesthetic qualities. 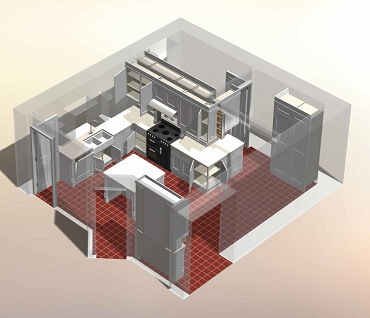 Using the latest standards and techniques in 3D modeling, we can help you create high-quality, detailed, true 3D models for display and demonstration of your project. Zeal CAD Services is a user-friendly and efficient finite element analysis services provider in Melbourne. We optimize and validate each step in the design to ensure performance, precision, quality and safety.Our finite element analysis has become an integral part of process for design engineers and helped them reduce time and costs associated with rapid prototyping. Zeal CAD Services is a user-friendly and efficient finite element analysis services provider in Melbourne. We optimize and validate each step in the design to ensure performance, precision, quality and safety. Our finite element analysis has become an integral part of process for design engineers and helped them reduce time and costs associated with rapid prototyping. Zeal Mechanical Drafting and 3D modelling Services Our Mechanical Engineering CAD Drafting Services take into account the needs of Manufacturing & Engineering Industry, Mechanical Engineers, Production Engineers, and Design Engineers & Fabricators. Zeal CAD reverse engineering to generate data from any physical component whose size data are unavailable. This reverse engineering can save considerable time and resources. Our designers are skilled in creating 3D models, manufacturing drawings. We work as an industrial design firm which is serving for industry as well as consumer-oriented manufacturers. Zeal CAD Services strike the entire engineering design development services, with full focus on developing dedicated engineering knowledge centres for clients. Zeal CAD Services has a strong team of 3D CAD experts and a complete customer process based approach that ensures that your projects are done with the minute detailing and stringent servicing standards. We offer speedy and affordable visualization solutions without compromising on quality. We consider ourselves as a leading service provider and consultant of mechanical Design CAD Services. We are an outsourcing firm passionate about creation of all types of mechanical CAD Services like machine designs and tools designs. We provide 2D CAD Drawing & Drafting services for Mechanical Engineers, Process Engineers, Manufacturers, Fabricators, and Designers & Consultants all over the Globe. We specialize in remodeling, resizing and scaling of existing CAD drawings and designs of parts & assemblies. Would you like to gain the benefits of CAD onshore outsourcing services without compromising quality or turn-around time? Get your project done on time and on budget? Have a source for highly trained staff that flexibly scales with your needs? 3D scanning service is the procedure of changing over physical items into exact computerized models & empowers you to rapidly and precisely catch your object’s shape and geometries. This procedure supplies you with a complete computerized representation of your part to be utilized for figuring out, quality examination or anytime of a commonplace assembling cycle. 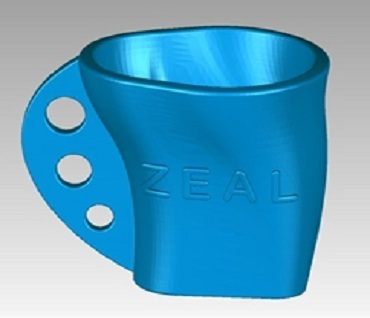 Zeal CAD prints your models in 3D easily! Zeal CAD has FDM and SLS 3D printers for all of your needs! We are focused on present to you the best quality for your 3D printed models and work with the best advances as of now accessible available. Fast Prototyping has a genuine significance for us. We are quick & productive. Fabrication is a process related to manufacturing process. A part or design is made from raw into a final model. Fabrication is a popular manufacturing process for making final product. As we are moving towards advanced technology, fabrication is also possible through Computer Aided Design (CAD) software.